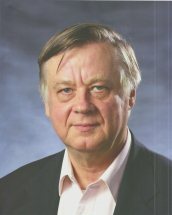 Tom Bethell, Washington correspondent for the American Spectator, wrote articles on the work of Petr Beckmann ("Beckmann versus Einstein", (July 1988), pp. 15-17; Doubting Dada Physics (Aug 1993), pp. 16-17) and Tom Van Flandern ("Rethinking Relativity" (Apr 1999)). The Beckmann articles can be found in http://www.stephankinsella.com/texts/beckmann_einstein-dissident-physics-material.pdf and the Van Flandern article in the above website. Some of Tom's articles, covering a wide range of subjects, can be found at http://unjobs.org/authors/tom-bethell and http://www.accesstoenergy.com/.